It is day 4 of Lily's Birthday Giveaways and Reviews and today I have 2 chances to win! Taste N Tell are offering 2 lucky winners one of their Taste N Tell Discovering Fruit or Discovering Veg books. 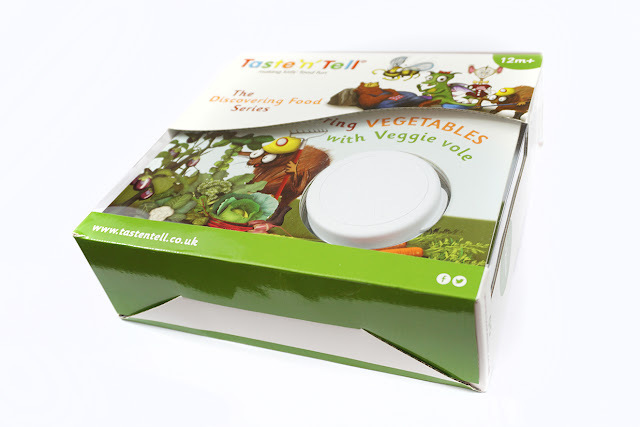 Taste 'n' Tell is designed to help encourage your child to eat healthily, and to promote communication, reading and learning. Use the unique REAL (Reading Eating and Learning) system to read along with your child, and enjoy together their journey with the Taste 'n' Tell characters. Inside each book there is a picture of the food, a picture of the food chopped up and then some writing about the food shown as an example. The idea is to place that fruit inside the pod/container and let the child discover the food and want to try it. Inside each book there is also a reward chart and stickers which also encourages your child to try the new food. If you want to read more about Taste N Tell then head to the website or read my review on Discovering Fruit here. 2 Lucky winners now have the chance to take this home. First person drawn will get a choice if they would like Veg or Fruit and the second person drawn will get the remaining book. For your chance to WIN enter on the gleam app below. How would you like another chance to win? Head to Taste N Tell's facebook page and you can enter to win a twin book pack with both books inside! Link to the competition is on the gleam app below and gives you 5 extra entries into my competition! It's Win Win so what are you waiting for? That would be absolutely brilliant for my just 2 year old grandson, who is currently in a phase of not liking (or eating) his veg (he say's "it's disgusting". 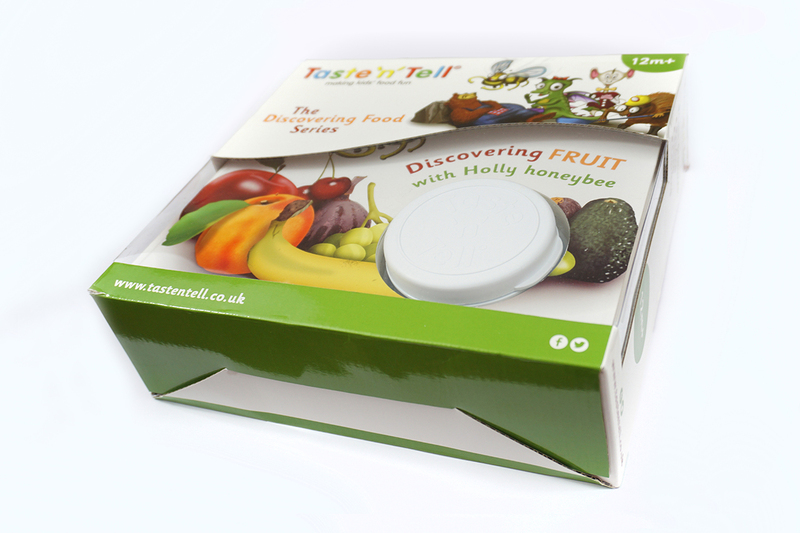 Discovering fruit with Holly Honeybee sounds brilliant , my 2 and half yr old granddaughter would love it! Fantastic! No better way to get children to eat their vegetables! I would love either ! I would prefer Discovering fruit with Holly Honebee. the discovering fruit would be our preference, the kids would love looking through it! I would prefer the Discovering Vegetables book, as one of my twins refuses to touch any veg at all! Discovering vegetables with Veggie Vole. Not on social media. There have been negative reports in the media :- Data being passed (? Sold )onto others (Businesses). Therefore I have chosen to avoid poor practices / behaviour ( business related, or otherwise). I believe that individuals should be treated with Respect. In all honesty, we would be delighted with either one. The little one is just beginning her taste discoveries. I would prefer to win Discovering vegetables with Veggie Vole.